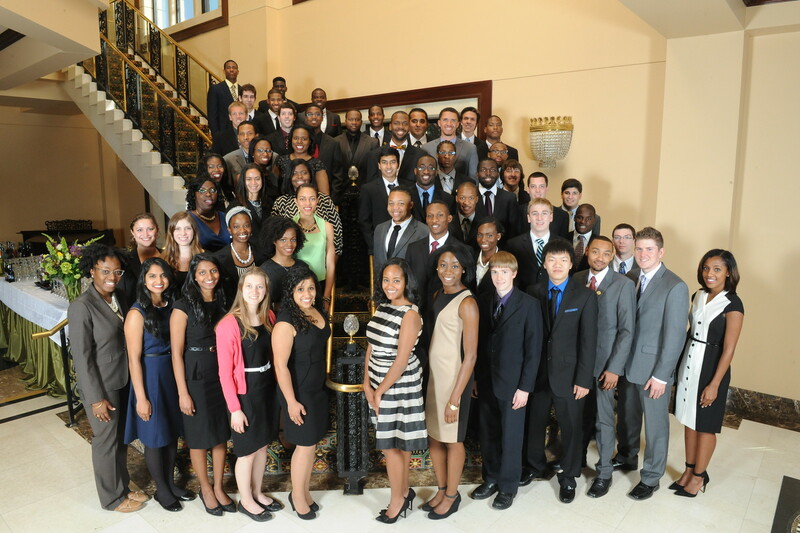 The Meyerhoff Scholars Program has been at the forefront of efforts to increase diversity among future leaders in science, engineering, and related fields. The UMBC Meyerhoff family is now more than 1400 strong with over 1100 alumni across the nation, which includes over 300 students enrolled in graduate and professional programs. The nomination-based application process is open to prospective undergraduate students of all backgrounds who plan to pursue doctoral study in the sciences or engineering and who are interested in the advancement of minorities in those fields. The program’s success is built on the premise that, among like-minded students who work closely together, positive energy is contagious. By assembling such a high concentration of high-achieving students in a tightly knit learning community, students continually inspire one another to do more and better. The program has been recognized by the National Science Foundation and The New York Times as a national model. Scores of representatives from federal agencies, campuses, and corporations across the country have visited UMBC’s campus to learn more about the program’s success. The College Board’s National Task Force on Minority High Achievement praised the Meyerhoff Scholars Program as an example that could provide broader educational lessons.